For one weekend only on October 3rd and 4th, the Observatory at Herstmonceux will transform into an open air Drive-In cinema. The initiative is part of a nationwide celebration of Science Fiction film led by the British Film Institute entitled Sci-Fi: Days Of Fear And Wonder. Film Hub South East, part of the BFI Film Audience Network (BFI FAN), is working with the team at The Observatory Science Centre, Herstmonceux to produce Drive-In events. The activities at Herstmonceux will be part of Film Hub South East's 'Screens Everywhere' programme established with the aim of putting on film screenings in unusual outdoor locations. Taking the theme of 'Outer Space' the weekend of events at Herstmonceux will include screenings of classic titles including War Of The Worlds (1953) and 2001: A Space Odyssey presented as Drive-In movies in the Observatory Car Park with the backdrop of the Observatory Domes for added effect. During the day on Saturday there will be film related activity for families to enjoy inside a special cinema tent, in the Observatory grounds. 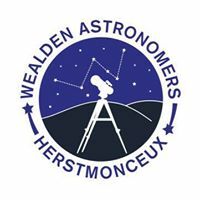 The full programme will be announced online on the Film Hub South East and The Observatory Science Centre, Herstmonceux websites. TICKETS CAN BE PURCHASED ONLINE via the University of Brighton online Shop. (Click on the film titles to book online). When Martians invade planet Earth, scientists race to find an effective weapon when the military proves helpless. One of the greatest Sci-Fi movies of the fifties, filmed in glorious three-strip Technicolor. Kubrick¹s epic masterpiece regularly appears in 'greatest films ever made' polls selected by audiences and critics alike. A quest across space to unfold the mystery of a series of black monoliths that somehow link to the evolution of the human race. 2001: A SPACE ODYSSEY is a poetic mediation on evolution, artificial intelligence and the possibility of extra-terrestrial life.